Hustysk Helen svarar: Do German cell phones have area codes? As far as I know, cell phones always have their ‘own’ codes that are independent of the area the phone is in. After all, it is a mobile phone so it would be rather inconvenient if I had to change my first four digits every time I travelled from Hamburg to Düsseldorf. So the answer your personal German gives you is simple: No. The more interesting part is the underlying meaning of the different cell phone codes: a few years ago, you could very easily tell if someone had a prepaid phone card (i.e. was too young and had parents too uncool to sign a phone contract) or a contract. Numbers starting with 017 were the prestigious contract numbers, usually belonging to well-respected companies such as Telekom or O2. The numbers with 015 in the beginning were not as distinguished and I still am not 100 procent reconciled with having a 015 number now. Oh well, I guess I am old enough to derive prestige from different things than my cell phone code. And yes, landline numbers do have area codes. You must dial them if you want to get anywhere outside the town you are in. A German can usually guess the approximate location of a caller by their area code. 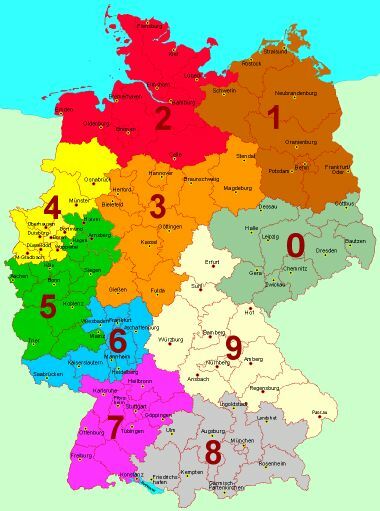 The North is 04, the South calls with 06 and 07, 08 means Bavaria and the area around Berlin is 03. So next time you see a 02 area code, pick up, it might be me! Sadly, the area codes and the zip codes do not correspond, often confusing me. Hustyk Helen svarar: Is there a German employment office? Is there an equivalent to arbetsförmedlingen in Germany? I know Germany astonishes you all with its amazing economic power but I need to break the news to you: there are unemployed people here, too. Compared to other countries, the numbers are certainly low, but there are arbetsförmedlingar, i.e. employment offices everywhere. There are better places to hang out. Employment offices are called Arbeitsamt or actually they changed their name to Agentur für Arbeit because that sounds fancier, I guess. The Agentur für Arbeit is the biggest German government authority with 108.536 employees. I was going to give this brilliant example of how to find out these things and now in this particular case the trick does not work. We call that Vorführeffekt in German, it means that something shows the exact opposite characteristics when being shown to someone. Like a trick that always works except for the one time you want to show it to people. Karl Lagerfeld, Wolfgang Joop, Jil Sander, Claudia Schiffer, Heidi Klum. It is certainly not that Germany is devoid of fashion sense. At Hamburg-Baumwall, you regularly have people exiting the metro who are amazingly stylish. 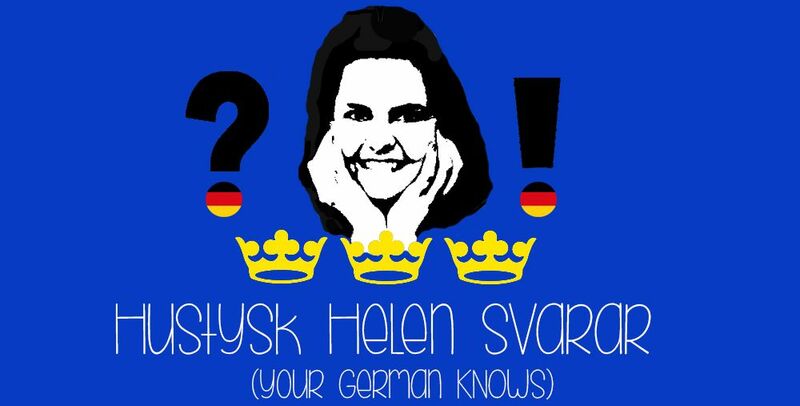 Nevertheless, it is true that in comparison to Spain or Sweden, Germans are far from excelling in appearance. There are some weird persistent trends (hairstyles for the 40+ lady with red highlights, glasses with curlicues and, of course, paw-chic in the form of Jack Wolfskin). It is not always this bad. I swear. I believe the reason for the lack of fashion effort in Germany is that it is the land of poets and thinkers. And practical people. German children are not brought up to care about appearance to the same extent as other nations, in fact if you are too well groomed, this might easily be negatively attributed to your intelligence (women) or sexual orientation (men). The German likes to be a down to earth practical person who does know that comfortable sandals look terrible but also knows that they are convenient and it is sensible to wear them. The German also likes to be a thinker, a person who cherishes the inside life, who roams in intellectual spheres where your make up does not matter. Poets, thinkers and pragmatics only give limited importance to looks. It is simply not considered a cultural value in the same way as it is in other countries. You can extend this to the German outlook on sports (in Sweden people look at you as if you said you do not wash your hair when you say you don’t exercise; in Germany, they do not necessarily expect you to [work out. They do expect regular hair hygiene]). On the other hand, I have the feeling that German culture is a little less tolerant towards poor educational backgrounds and lacking general knowledge. Do you think I am saying Germans are smart and that is why they don’t dress well? I am not sure. I heard “Dressing well is a form of good manners”. 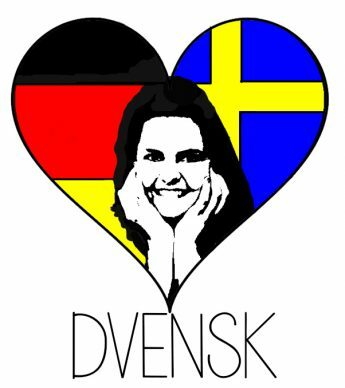 It is yet another field in which Germany and Scandinavia can learn from each other, both ways. Oh and about the beige brigade – it is a topic that is actually widely discussed in media. There are even films about it (http://www.arte.tv/guide/de/050808-000/beige). Some argue that old people wear beige to reject attention and fit in (“Rentnerbeige-Theorie”). Not acting in professional life anymore, they retire from the spotlights and seek calmness in the discreet color. . I also read that beige makes senior citizens feel alive because it is the color of skin. (Hm, right…) The beige pensioners’ army gives a feeling of belonging and security. Other believe that – practical German alert – beige is simply a color that can be combined with a lot. I don’t know…I’ll have to ask my grandpa.